Any of my long-time readers know that I’m a squealing fanboy when it comes to Compass Box, and I’m not about to stop soon. The innovative blended scotch whisky company is about to launch two new Limited Editions: The 3 Year Old Deluxe and the Spice Tree Extravaganza (review of the Spice Tree is upcoming). This Limited bottling is a direct reaction (a political commentary, even) to the recent issues that Compass Box has faced with transparency and EU and UK labeling laws. In short, they’ve been told they can’t reveal the ages of the various components in their blends, except for the youngest one. 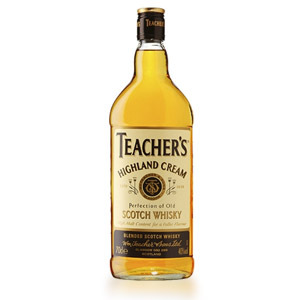 For example, if they were to put a teaspoon of five year-old Glenlivet into a vat containing 30 year-old Clynelish and bottle it, they cannot say the phrase “30 years old” in any public context, even buried on their website. They are allowed to say “5 years old”, or no age at all. As many of you are aware, the result of this law is the growing proliferation of “NAS” or “No Age Statement” whiskies. The 3 Year Old Deluxe is a thumbed nose at UK regulations because it contains (unspecified ages of) older whiskies with 0.4% of 3 year-old Clynelish. Remember that three years is the minimum allowed age for scotch whisky, so celebrating “3 years old” in large, obnoxious font on the bottle label and marketing materials is the corporate labeling equivalent of peacefully picketing the UK parliament building with signs and chanting “Hey No, We Won’t Go!” In order to adhere to the letter of the law, Compass Box cannot publicly reveal the ages of the older components in this (or any other) blend, but they CAN tell you privately if you email them and just ask. Just please don’t share this information on forums, blogs, or comment sections, as that could open Compass Box up to accusations of third-party marketing. Nose: Uhh. Wow? Passion fruit and intense florals: Like walking into a flower shop full of drifting pollen. Waxy (hello, Clynelish!) natural beeswax candles. Full of enticing juicy exotic fruits on a bed of light unassuming marshmallow malt. Despite the age of the components, the effect is not of “old whisky” but rather “perfect whisky” – the aroma is hands-down flawless. Palate: Medium syrupy body. Entirely without tongue burn (“smooth”). More beeswax, plus a reprise of the fruit-salad promised by the aroma. Bubblegum, honey, fruit cordial, and meringue. Finish: Medium-short. Warming. Tart peach and vanilla frosting. Fades with sweet cherry and shortcake. No bitterness. With Water: A few drops of water punch up the tart fruits and add white tea and a hint of green banana. The water also adds a layer of silky vanilla fondant to the palate, which makes it fuller. It also (finally!) lets slip a hint of peat on the finish, which is muted but delicately smoky – like the smoke from a fruit-flavored hookah tobacco. Overall: Possibly the most decadent aroma I’ve ever experienced in a whisky. This is master blending at its unremitting finest. It probably helps that I could drink well-chosen Clynelish all day long, but the combination of beeswax with tart fruits and seriously intense florals makes this artful as well as delicious. I wish the Talisker was a little more in evidence, but then again I dislike it when the peated component takes over a blend, so this might be better. Now, if only it weren’t $200, I could give it higher than a “Recommended” score. If you’ve got the scratch and appreciate subtlety in your whisky, you won’t be disappointed. Also if I’ve just described you, the donate button is right down there. 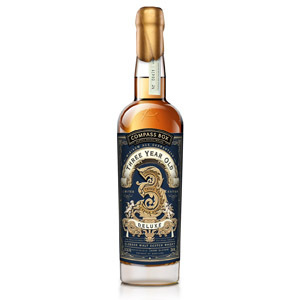 Like SN, I also very much admire Compass Box. The creativity, consistent quality, and willingness and guts to (try to) develop non-traditional and outside-the-box offerings. I personally believe the highly restrictive Scotch whisky laws and regulations have and will continue to damage and reduce the competitiveness of the Scotch whisky market. Other whisky regions can simply do things that Scotch whisky makers cannot. Naysayers would say this is due to tradition, and that tradition cannot be compromised. However, one only has to look to the restrictive German beer purity law of 1497 as an example to the contrary. As a result of holding to their “tradition”, the market share of the German beer has declined swiftly in this global ‘World is Flat’ environment we all now live in. Anyways, ‘CB 3’ is a wonderful example of sticking it to the man. Sure, it’s good, albeit silly expensive. 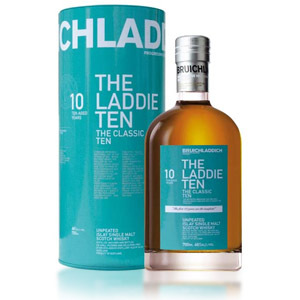 Due to the price and it being labeled Limited Edition, I hypothesize this one is primarily intended for the collectors’ market (to be paired with the eyebrow raising $600 Clynelish NAS Select Reserve). 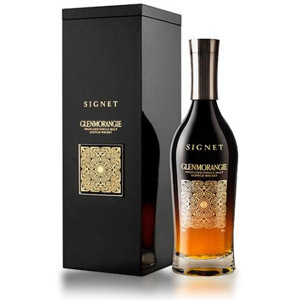 For price alone, this whisky cannot seriously be Recommended to a mass market, so while John G won’t be getting my financial support on the 3 Year Deluxe, he most certainly will be getting my full political support. DJ, you and I may be thinking differently when we describe the “mass market”. I don’t think this price would dissuade the burgeoning “whisky middle class” who aren’t collectors bidding at auctions, but sip their whiskey neat and want to try as many new “cool” whiskies as possible. I consider these the new “mass market” not because they are buying up the most volume, but because they are the ones driving prices and innovations in the current whisky boom. Average whisky enthusiasts seem more than happy to pay $300 for this year’s Booker’s Rye, and think $400 is a very reasonable store price for any BTAC bottle this year. Throw the words “limited edition” on a very tasty Compass Box scotch and a $200 tag is a fair deal. Now if by mass market you mean the guys who buy Jim, Jack, or Johnnie to throw in with their soda, then you are right. But those aren’t the guys reading this blog either. Andrew O. I respectfully disagree. There is a VERY large population of scotch drinkers who lie between those who are “happy to pay $300” and those who drink Jack and coke. Count me proudly in the demographic who gives strong weight to how much bang-for-my-buck I can achieve with my single malt collection. E.g., one could buy a bottle each of Peat Monster, Spice Tree and both GKS expressions for less than the price of a single bottle of ‘3’. That said, if you are one who doesn’t blink an eye forking over $400 for a bottle, G-D bless you. David Driscoll had a very interesting article a year back, where he talked about how the bitter veterans of the whisky public would scoff at a $100 release, while the newbies (like me) would jump at the chance to buy Macallan 18 for that. He compared it to a similar evolution in the Bordeaux market. The idea, basically, is that price expectation is set when a person enters a market. This is especially true when you consider wholly new markets like China and India, where new money is leading whisky newbies to drop hundreds of dollars (or the equivalent) on bottles without blinking an eye. You and I sit in the same demographic, which is why SN’s site is invaluable to me. I’ve bought a total of 1 bottle over $100 and my life and buy the vast majority of my whiskey in the $30-60 range. But in the groups I associate with I do see numerous people who are willing to pay hundreds for a bottle of what they hear is good juice (especially if its supposedly limited). Regardless of what I’ve seen, this demographic must exist because every time these bottles are released they fly off shelves. I am squarely in DJ’s camp, insofar as a I search for value and have never personally purchased a whiskey costing more than $100. 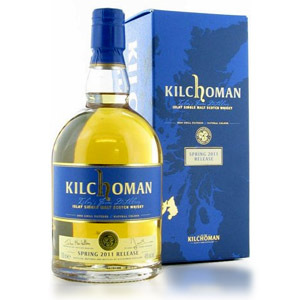 That said, the search for value in scotch is becoming increasingly difficult, especially when entry level expressions inching closer to $75 (see the new Kilkerran 12, which is going to sell for between $70-$80 on the east coast, in all likelihood). This, in my mind, is the biggest challenge for scotch; can they maintain their hold of the sophisticated drinker when greater value can arguably already be had in bourbon, rye and the emerging American Whiskey market.